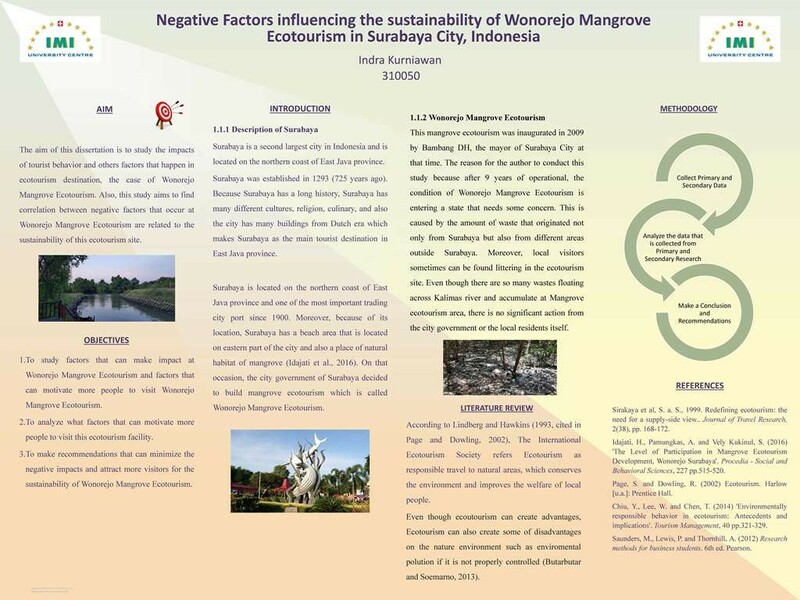 Our fourth, bi-annual Research Forum was a celebration of the internationality and collaborative nature that all the best research projects share in common. 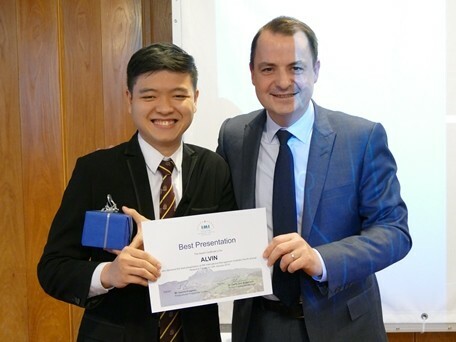 As ever, our BA (Hons) and MBA students presented their research findings to fellow students and faculty as well as participating in the Research Poster competition, representing their work in an attractive visual or graphical format. 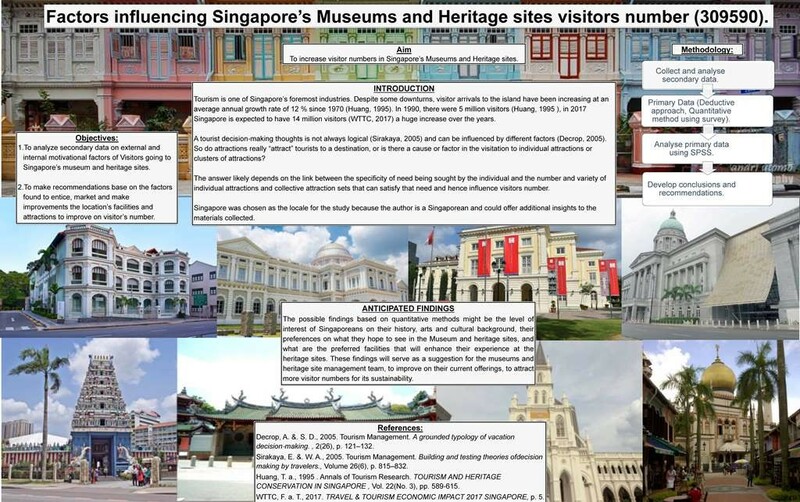 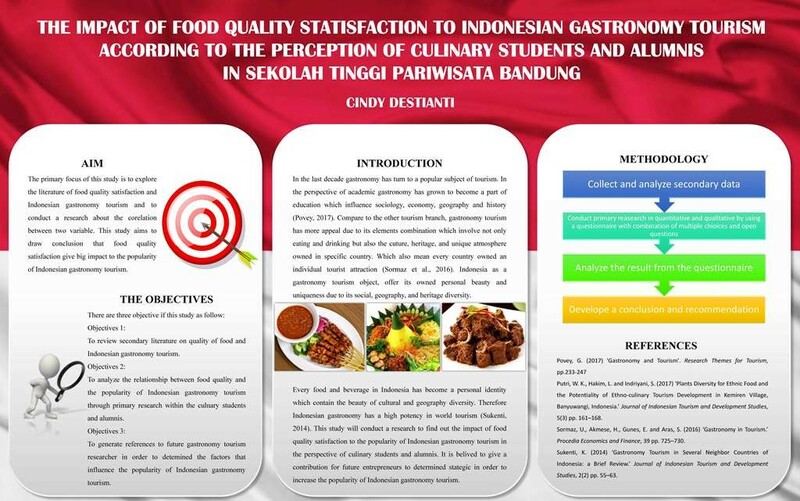 Research Title: An investigation on Indonesian millennial generation’s consumer behaviour and the factors affecting their dining-out insights from Jakarta, Indonesia. With the F&B sector contributing over 7% of Indonesia's total GDP but recent economic challenges forcing more and more restaurants to close, Alvin's research project focuses on the importance of the millennial market, their opinion influencers and their consumer and purchasing behaviour. 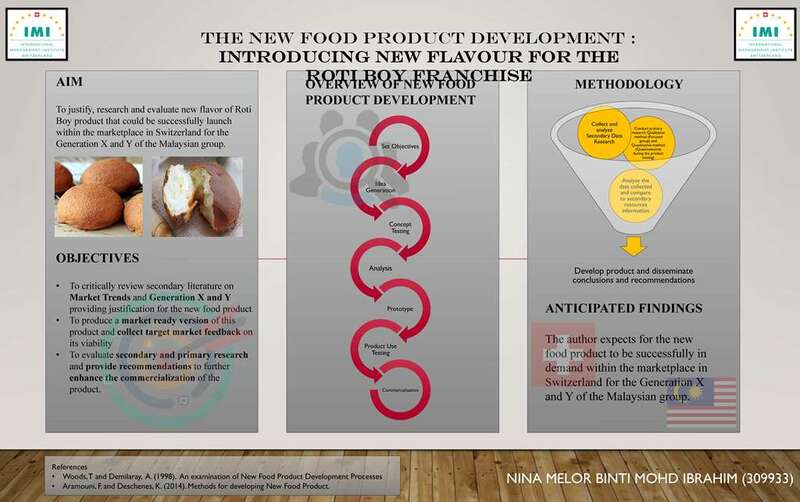 His aims are to provide an insight to Indonesian restaurant sector as to how they can boost profitability and thus support a growing national economy and create increased job opportunities. 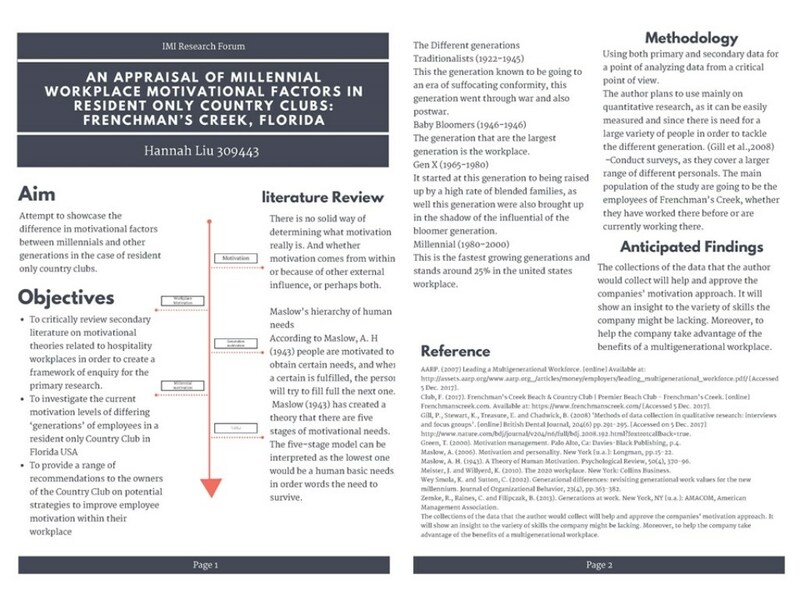 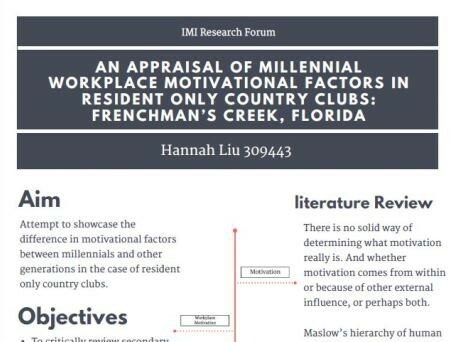 Using her internship location as the case-study for her work, Hannah's research examines the similarities and differences between the motivational factors impacting upon millennials and those from other generations within the workplace. 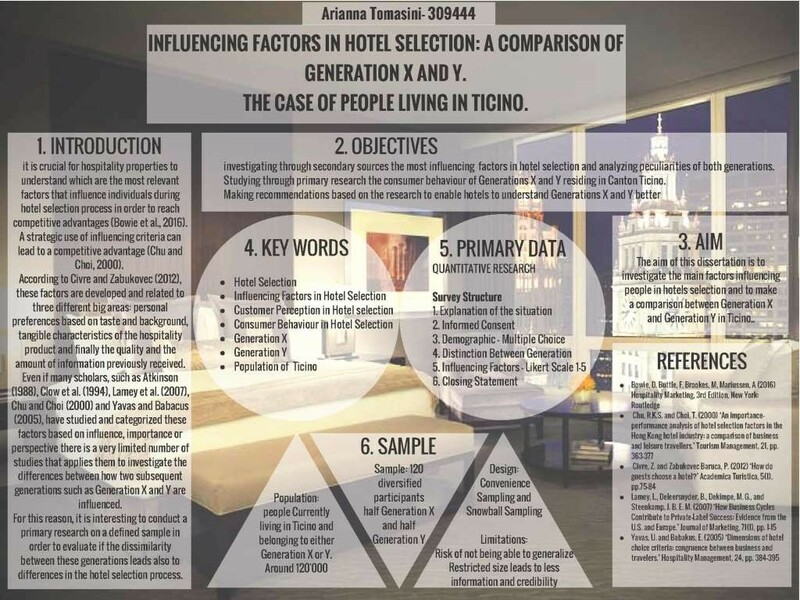 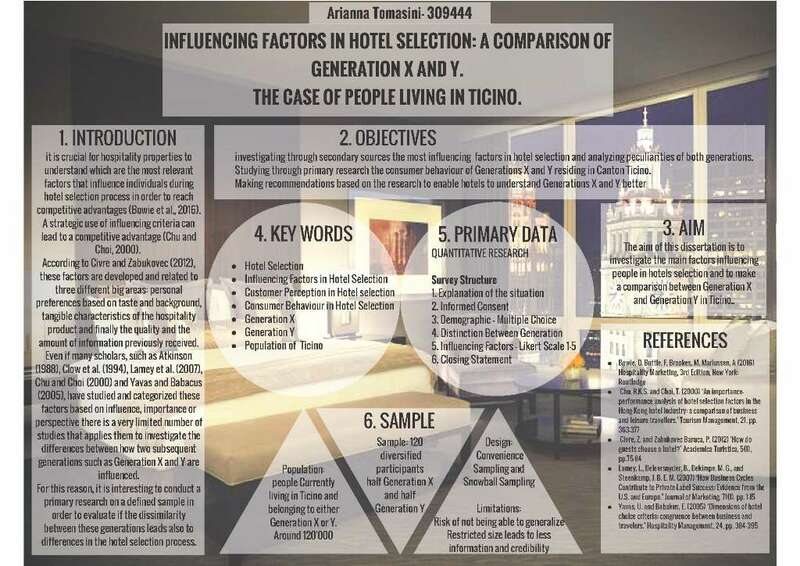 Her poster clearly and systematically outlines the aims and objectives of her project as well as detailing the source materials used and the overall methodology.